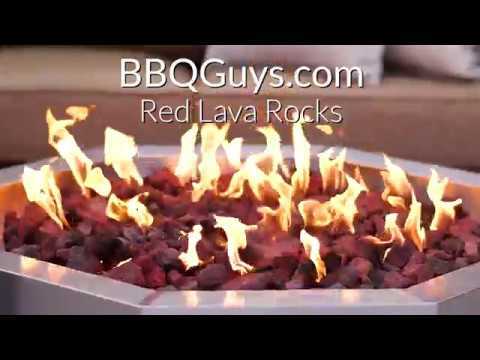 This item is perfect for outdoor fire pits. The following are recommendations only for the amount of rocks one needs for various firepits: It takes 6 bags to cover the diameter of a 24 inch pit 1 inch in depth. It takes 9 bags to cover the diameter of a 30 inch pit 1 inch in depth. It takes 15 bags to cover the diameter of a 36 inch pit 1 inch in depth. It takes 24 bags to cover the diameter of a 48 inch pit 1 inch in depth.